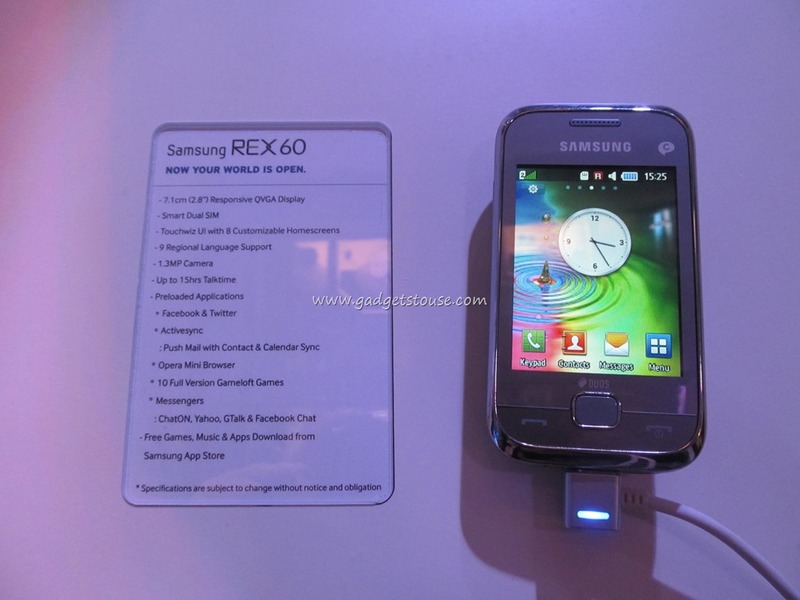 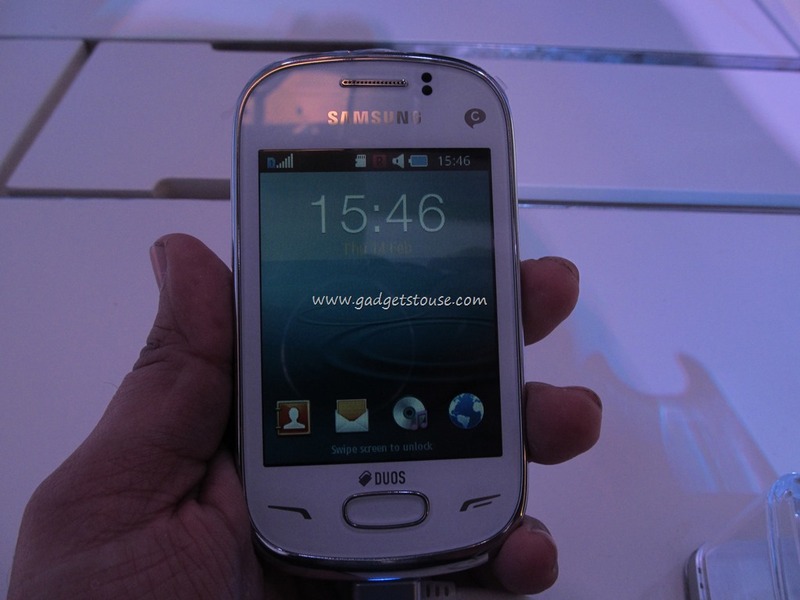 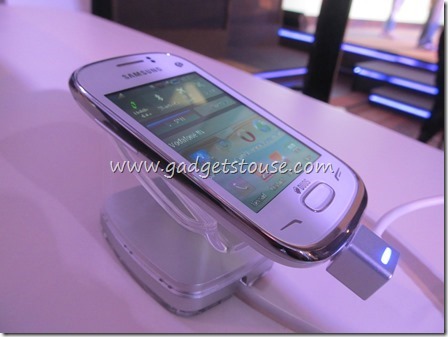 Samsung has launched the new features phones series REX 60, 70, 80, 90 which social media apps and feature to make you connected on the move, so now you can have smartphones internet features on these feature phones even when you have a low budget as well. 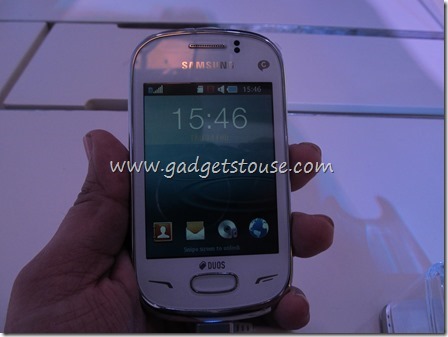 REX 60 has 2.8 inch screen with 2.8 inch responsive QVGA, smart dual SIM and gives upto for 15hrs as per samsung claim, it has 1.3 MP camera and preloaded apps like for facebook, twitter, push email with contacts, opera mini browser and 10 full version games from gameloft and indian language support. 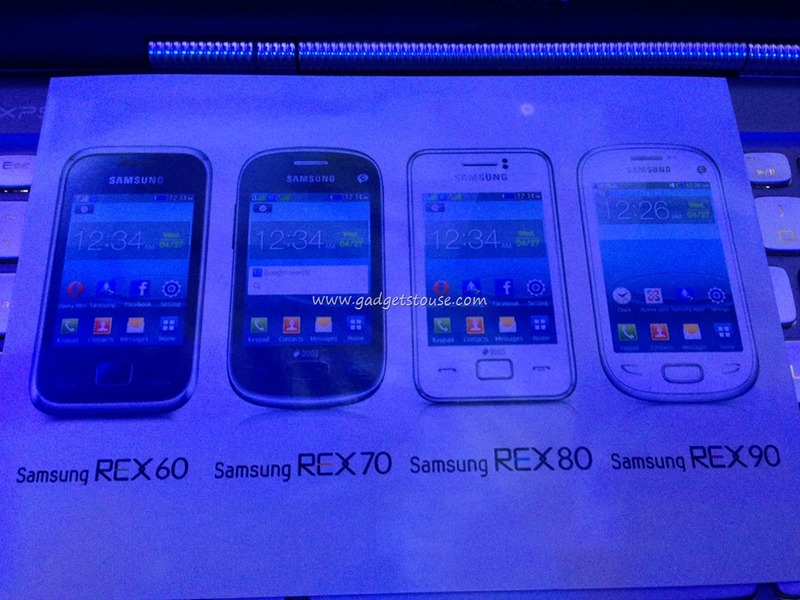 REX 70 on the other hand have 3 inch capacitive touch screen, it has smart Dual SIM and Hot Swap for one sim card, touchwiz UI with 8 homescreens, it has 2 MP camera and gives 13 hours of talktime as per the claims by samsung. 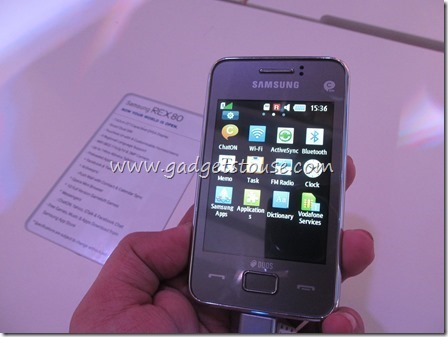 It has Activesync, Opera mini browser preloaded, ChatOn, Yahoo and Gtalk and Facebook Chat. 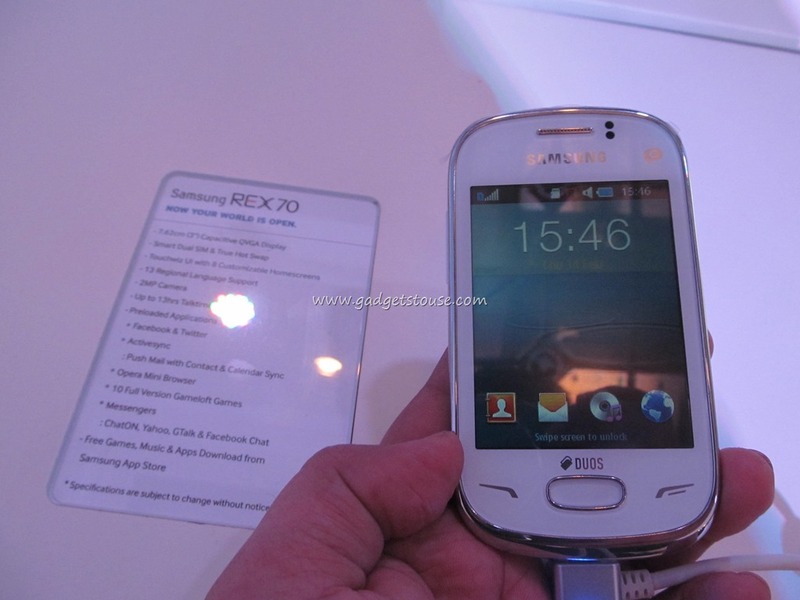 REX 80 has 3 inch capacitive touchscreen with QVGA display, WiFi and has 3 MP camera fixed focus, all other apps like Activesync, Opera mini browser preloaded, ChatOn, Yahoo and Gtalk and Facebook Chat. 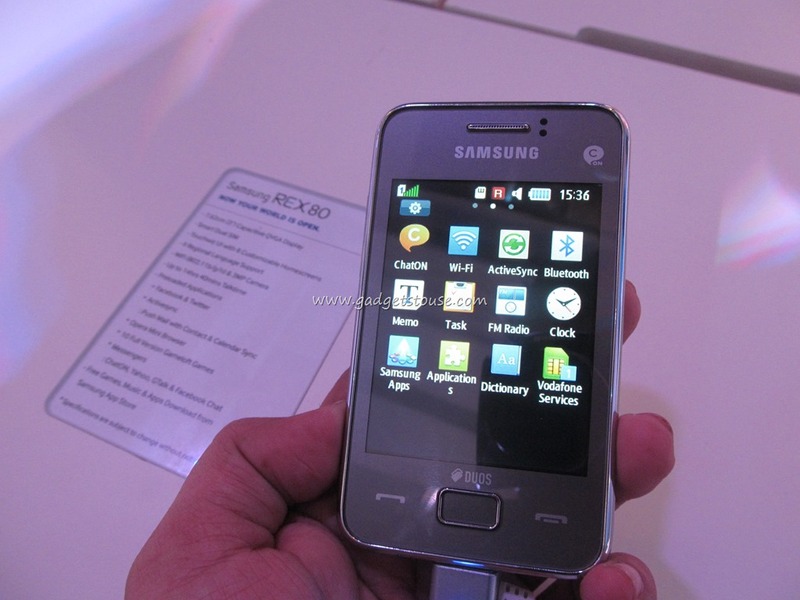 It does have 9 regional language support and free music and apps you can download from samsung apps store. 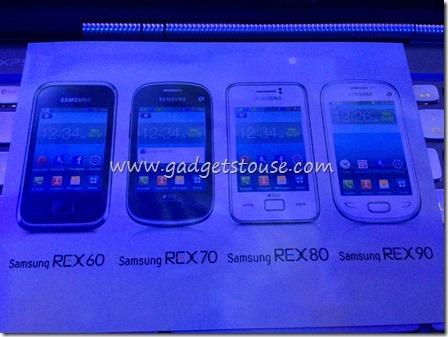 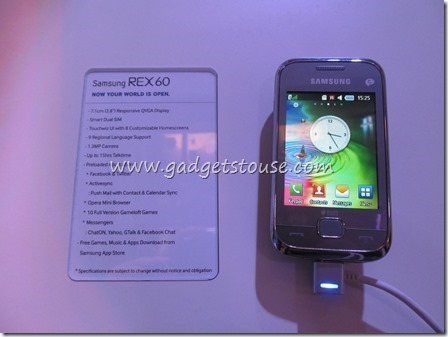 REX 90 has 3.5 inch capacitive HVGA display, with smart Dual SIM and True HOT Swap and Touchwiz UI and has 7 home screens with WIFI and has 3.2 MP camera and gives 15 hours of talktime as per samsung and it does have preloaded apps like Opera mini browser preloaded, ChatOn, Yahoo and Gtalk and Facebook Chat.